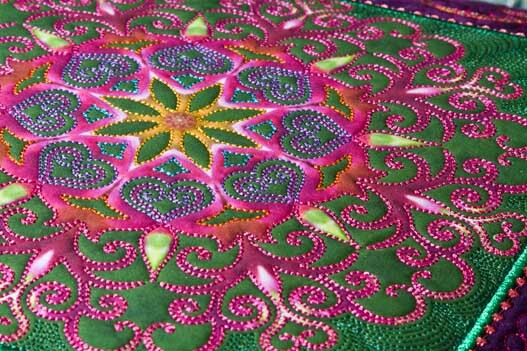 Our Embroidery Collections Make Your Kaleidoscopes POP! 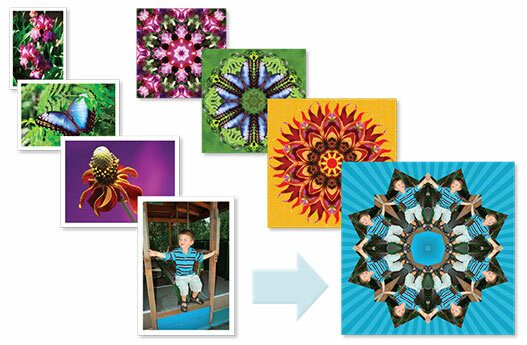 Turn ordinary photos into amazing kaleidoscope designs with our fun and easy-to-use Kaleidoscope Kreator 3 software! 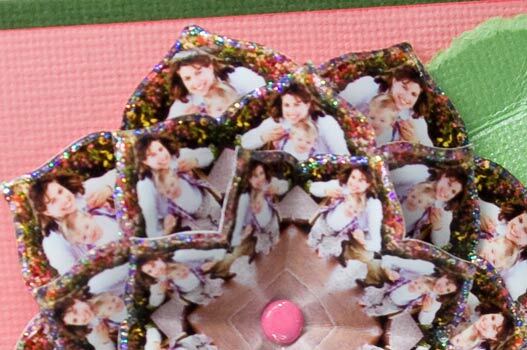 Kaleidoscope Kreator 3 is the perfect tool for all sorts of crafty projects. 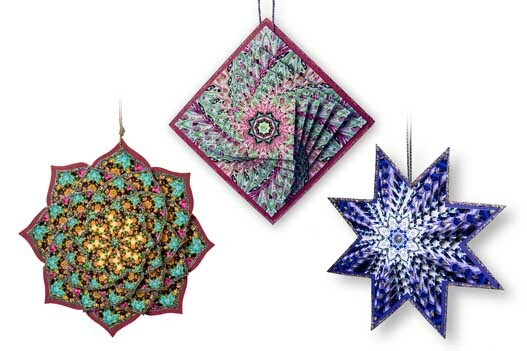 These 3D ornaments were printed on glossy photo paper. More paper crafting ideas. 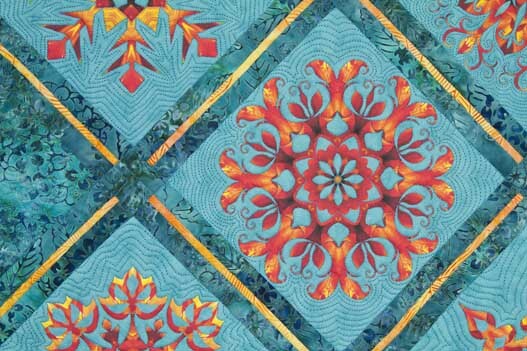 Print your kaleidoscope designs onto inkjet fabric to make stunning kaleidoscope quilt blocks. 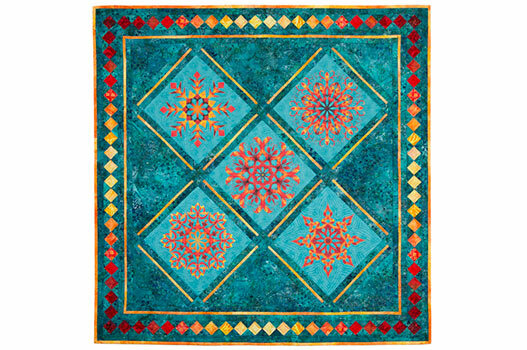 More quilting ideas. The photos you start with can be virtually anything. Can you see who's in this kaleidoscope? 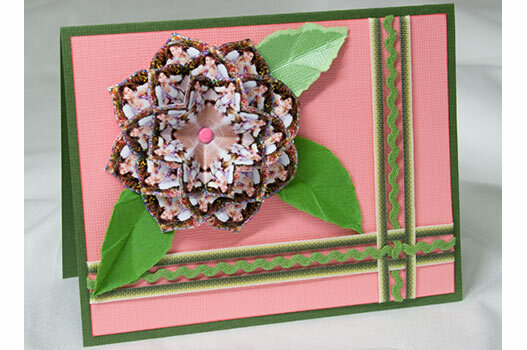 More card making ideas. 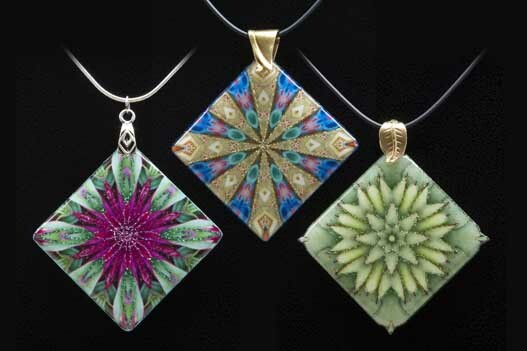 The kaleidoscopes for these pendants were printed on fabric, then covered with clear epoxy resin. Learn more. With our new Embroidery Collections, you can embellish your printed kaleidoscopes with matching embroidery. Learn more. 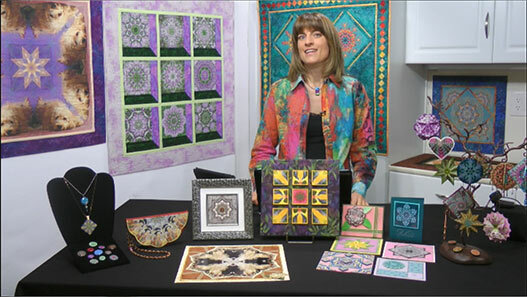 And here's Jeanie with a quick video demo of Kaleidoscope Kreator 3.